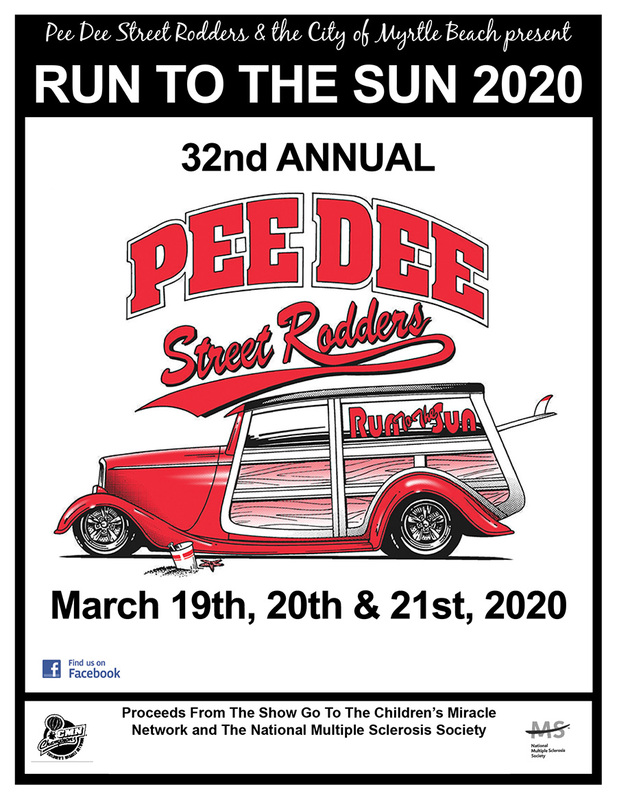 Pee Dee Street Rodders website. We have created a club to enjoy the hobby of American classic cars and trucks and socialization with others that enjoy this hobby as well. Our main focus is to have fun with the classic car hobby, and help our communities while doing so. about the 2019 Run to the Sun Car Show! Official Pee Dee Street Rodders merchandise. in Myrtle Beach from March 19th-21st!